Since our headquarters are here in the great city of Austin, Texas, we are so excited to share a few stores (and the people behind them) that give us inspiration. Whether you're looking for a gift or something something special for yourself, we are big fans of these shops. And it doesn't hurt that we get new ideas, fresh inspiration, and get to meet the lovely creatives who work there! 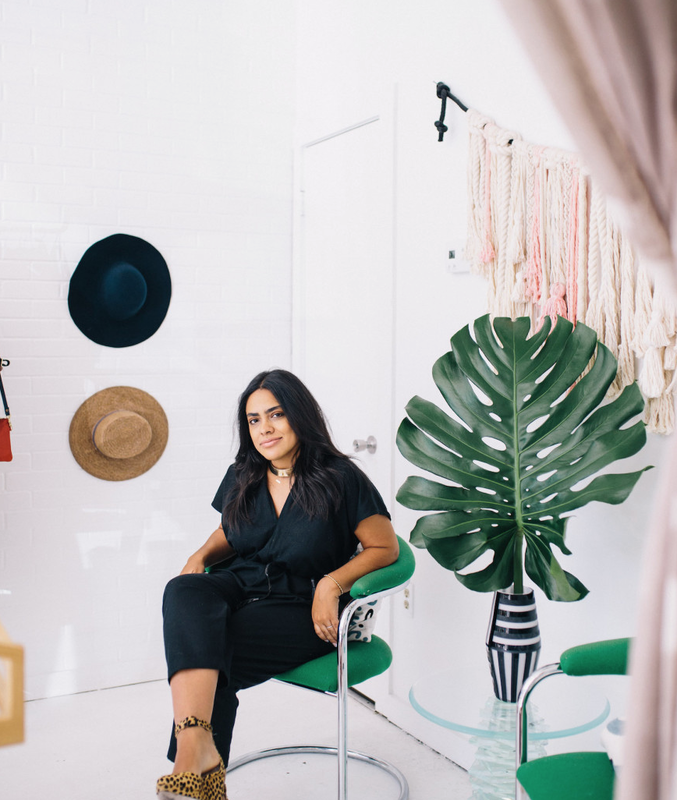 Founded by Leslie Hernandez, Aro combines jewelry and lifestyle designs in the most unique, beautiful way. The store prides itself on bringing together independent artists and designers from all over and carefully selects every piece they sell. Aro is definitely worth the visit- from Matisse inspired rings and velvet pant suits, to their design infused Instagram feed, everything about this store is bursting with creativity. Besides having a drool-worthy shop, Esby sells the comfiest, dreamiest clothes possible. The store was founded by designer Stephanie Beard, and her and the team sketch out and review each detail of every piece sold. They pride themselves on comfort and wearability, and somehow still manage to make it all look super cute. Just knowing Esby's team that is such a huge part of the design process is who you will be greeted by in the actual storefront is inspiring! Okay so this "kitchen/foodie heaven" was literally created out of the love of good design by the founder and creative director, Tarica Navarro. The items they carry are so detail oriented and thoughtful, that one step inside the shop and you can't deny the amount of creativity that must go unnoticed on a daily basis. Kettle & Brine showcases beautiful work by local craftsmen, makers, and creatives in the hopes of inspiring customers to live more thoughtfully through the objects that we chose to surround ourselves with. Talk about some seriously creative collaborating- the idea for this store all started with the beginning of Willaim Knopp and Jessica Tata's relationship... They are now married, and together, they make up the team behind Son of a Sailor. Wow. Now the store features a broad range of handmade jewelry, accessories and candles from different brands and makers, but it wasn't always this way. It started with only its own brand, which is made right here in Austin by the dream team's production staff. The best part? You can see them at work while you peruse the shop! Nina Gordon dreamed up this store as a child and as of today- this dream is totally happening, and in the very best way. She thoughtfully selects every item she sells and showcases a HUGE variety of locally made goods from different designers and brands. It's easy to spend lots of time in this store- guaranteed you don't wanna miss a thing. Take Heart is a great example of celebrating the creative in all of us, and the shop's beautiful, detailed designs makes sure of it. Here's hoping we all prioritize a visit to these inspo-worthy places very soon. What are your favorite shops in Austin? Let us know in the comments below!